The inaugural Americas Rugby Challenge opened full of intensity at the Estadio Cincuentenario, in Medellín, where hosts Colombia beat Guyana 71-7 and Paraguay overcame Mexico 45-36. 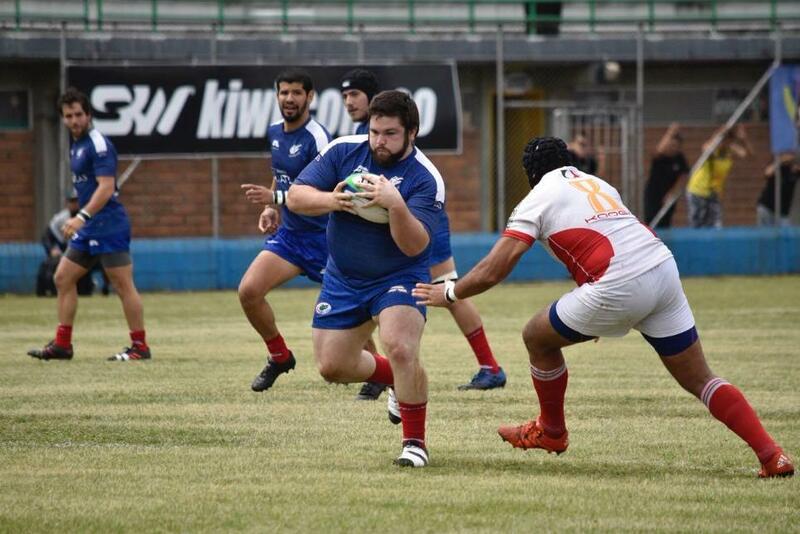 In the opening match, Paraguay and Mexico each scored five tries apiece but it was the performance of Paraguay fly-half Sergio Alvarenga that proved the difference. Alvarenga scored two tries as well as 13 points from the boot, including two superb drop goals. Los Yakarés always looked like they had the edge although they allowed a Mexican team with many newcomers to remain competitive throughout the match. So much so that until the second and last Alvarenga penalty seven minutes from time, they were less than two converted tries from victory. Leading 19-12 approaching the end of the first half, thanks to a brace from centre Juan Pablo Martínez – both after a patient build-up – and a 31st-minute intercept effort from Rodrigo Ripoll, Mexico had control of the scoreboard. Yet Paraguay scored 27 points in a devastating 17-minute spell, from the 38th to the 55th minute, with Carlos Plata scoring twice, and Alvarenga’s second sandwiched in between, to take the lead 39-19. Mexico failed to give in and fought until the end, scoring two tries in the final 12 minutes through second-row Tomas Allen and another intercept by goal-kicking winger Franco Guerrero. After a three-hour break, it was Colombia’s turn to take the field and they did not hesitate to show their superiority from the start against an untidy Guyana team. In truth, the 71-7 scoreline could have been bigger had Los Tucanes not opted to use their bench early on, resting players that will be key in the business end of the Americas Rugby Challenge. This made them lose some composure although they still scored five of their 11 tries in the second half. Fly-half José Diosa was typically influential, helping himself to a hat-trick of tries before being replaced at half-time, with winger Enrique García adding a brace. Talismanic captain Sebastián Mejía Gil also got his name on the scoreboard before the break as Colombia went into the changing room with a 42-0 lead. Stifled by a well-organised home defence, Guyana were not in the match for most of the 80 minutes. However, they did manage a solitary try against the run of play after a turned over ball and a missed tackle sent Joseph Rahaman flying through a gap in the 64th minute. By then, though, the damage had been well and truly done with full-back Andrés Álvarez having already crossed twice for Los Tucanes. Replacement front-rows Brayhan Perez and Jorge Alvarez, on his international debut, and winger Juan Giraldo crossed for Colombia’s other tries. “It is a start but now we must work hard to recover the bodies and rest for what will be a tough game against México,” captain Mejía Gil said afterwards. 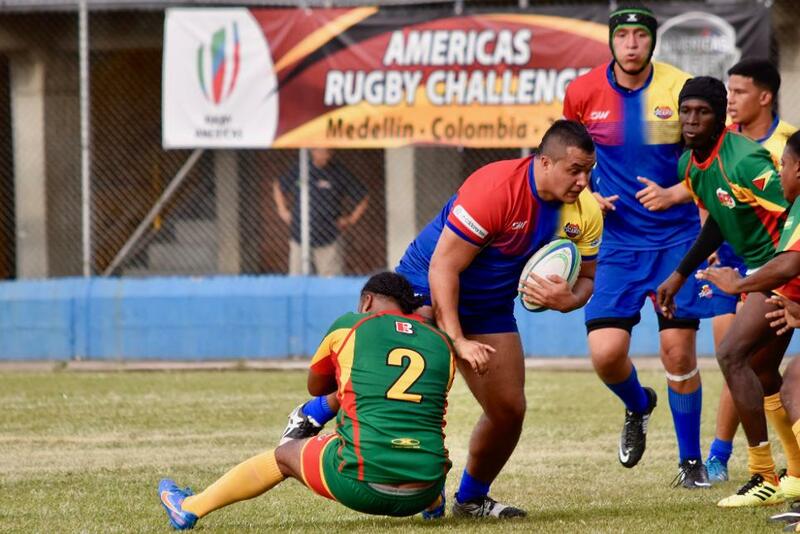 The second round of the Challenge, a round-robin tournament for developing teams from Sudamérica Rugby and Rugby Americas North, continues on Wednesday when Paraguay play Guyana and Colombia tackle Mexico.